We have now been keeping bees for four years and were thrilled to have a great year for honey extraction. We took honey off four hives and were able to get about 240 lbs of honey in 2018! Bees are amazing. We are going into winter with 6 hives, having increased our numbers by catching a couple swarms this year and doing some splits. 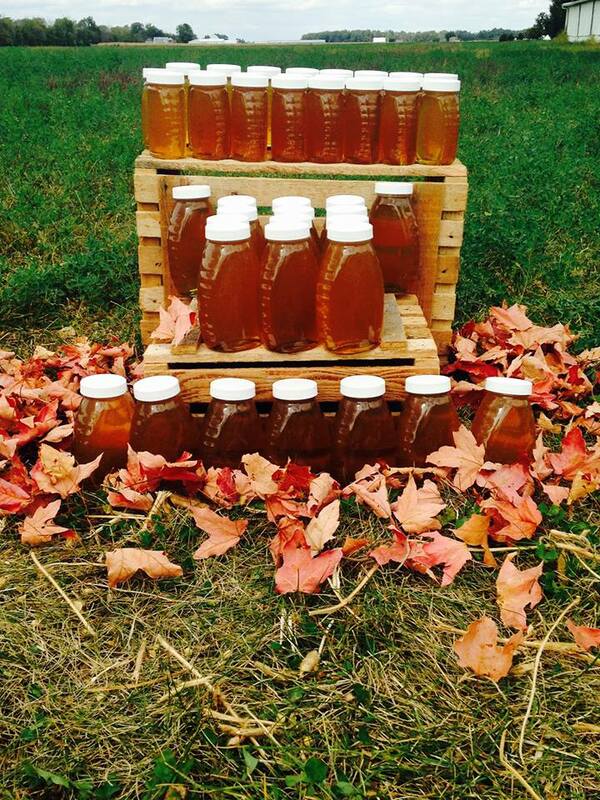 We hope to do the same next year to have around 10 hives and honey is hard to keep in stock! Matt was able to take a queen rearing class to help aid in our expansion. Here are a couple of pics of him putting his skills into practice! We are members of the local beekeeping group - Greater Grand Lake Beekeepers Association - which is a very helpful way to learn from and connect with more experienced, local beekeepers in the area. If you are interested in joining here is a link to their Facebook page: GGLBA. Our honey is for sale (while supplies last) at the Sidney Farmers Market (from May-October), at the Troy Virtual Market, or from the farm.